Jessica is from Massillon, OH and moved to Columbus in 2008 to start her dental hygiene career at Reynoldsburg Dental Center. She graduated from Marietta College in 2003 with a degree in Early Childhood Education. Jessica later decided to go back to school and she graduated in 2008 from Stark State College with an Associates Degree in Applied Science in Dental Hygiene. 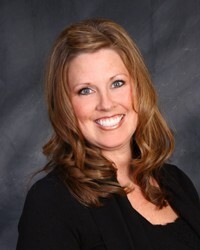 Jessica keeps up with the latest advances of dental hygiene through continuing education courses and classes. She is also certified in CPR and has her local anesthesia license. In her spare time she likes to hang out with her family and friends! She is a huge sports fan and enjoys all types of physical recreation and outdoor activities.